Being in Kowloon, Hong Kong brought me into a mega deja-vu mode. It’s really strange how memories (from as long as 30 years ago!) resurface in small pieces as you take in the sights, smells and sounds. My first trip overseas was to Hong Kong when I was 4 years old. And my family and I stayed at a hotel in Kowloon. It was Christmas, so everything was brightly lit. Save for the Christmas lights, almost everything seemed very familiar when I was in Kowloon a couple of weeks ago. The very same hotel we stayed at in 1985 (Royal Garden) is still there! I wanted to take a peek inside but never got around to it. I was very pleased to find out that just a block from the 1985 hotel is one of the most long-standing, pioneer hotels in Hong Kong. The Kowloon Shangri-la opened in 1981 and still remains to be one of the classic 5-star hotels in Hong Kong. 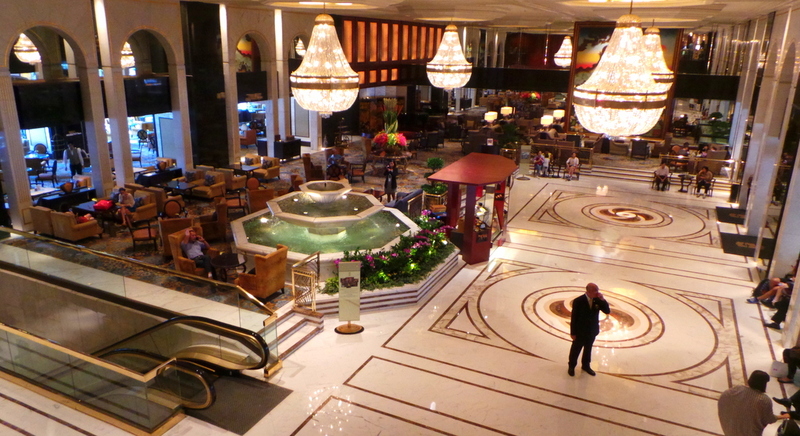 And when I say classic, I do mean the quintessential standards of what defined a 5-star hotel: A massive lobby, huge chandeliers, a water fountain, and marbled walls and floors. Located in the touristy area of Tsim Sha Tsui East, Kowloon Shangri-la is within walking distance to a number of luxury boutique shops along Canton Road. 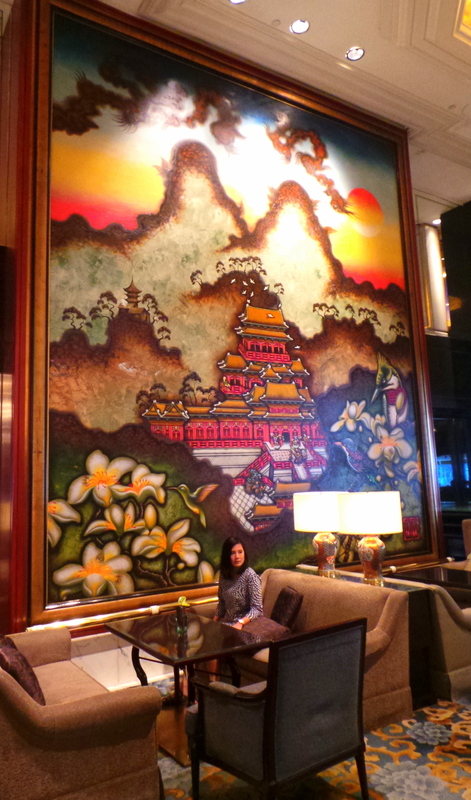 There’s a grand piano in the lobby and also a giant mural of the Shangri-la Valley by UK artist Malcolm Golding. Along with the ornate furniture and groups of guests/tourists rushing in and out, my eyes didn’t know where to focus at first. 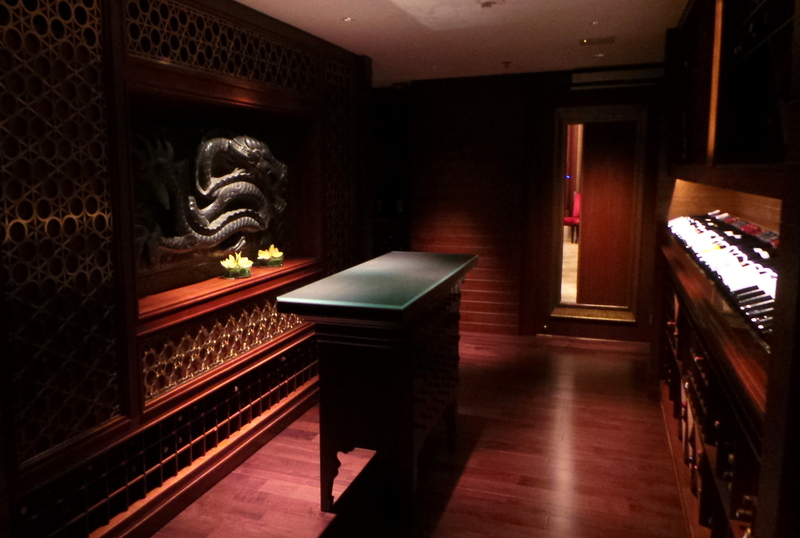 I would ordinarily write about the hotel service towards the end of the review, but it was the customer service of Kowloon Shangri-la that stood out first. Our room wasn’t ready when we arrived, though we admittedly arrived at 12 noon, 2 hours earlier than the normal check-in time. Despite the huge number of guests in the lobby, the staff knew how to handle and control the flow of people, initiating approach towards guests who seemed “lost” and steering them towards the waiting area. As it was past 12 noon, the number of guests trying to check-in were increasing — as were their temperament, but the staff were all very intuitive and proactive. Standing out among them was an earnest looking gentleman, who was always on his toes seeing not just ours, but all other guests’ need. He apologised profusely for our room not being ready (which wasn’t a problem, really!). You can tell when someone has been in the customer service job long enough, and though this gentleman seemed more mature (in years) than his colleagues, his energy and work ethic seemed to positively influence his colleagues as well. 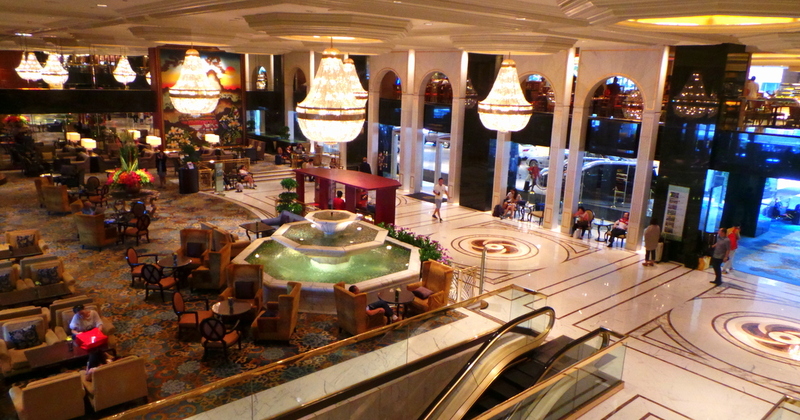 the lobby at Kowloon Shangri-la. His name is Edward, and he is the Imperial Butler of Kowloon Shangri-la. He has been with Kowloon Shangri-la for 33 years (when it opened!) and, I learned that he accompanies heads of state and VIP guests who arrive at the hotel. And this is how I know that Edward is someone who takes pride in his career, and passed the true test of platinum service: He treats everybody like a VIP. My only encounter with Edward was this brief time that we waited while our room was getting ready, ( I later looked for him as I wanted to ask him more about the job but he was very engaged with VIP and Heads of State duties). Though it was a brief encounter, it really made an impression on me. Also, a company must be doing something right to have a lot of employees stay on for years (Edward wasn’t the only one we saw who’s been there for over 15 years), so that’s saying a lot about how the hotel also treats its employees. It makes my mind at ease when I know that a hotel not just tries to impress the guests, but makes its employees happy too. This is possibly the best view of Hong Kong that I’d seen. No other tall buildings next to the hotel, they are all a harbour away. 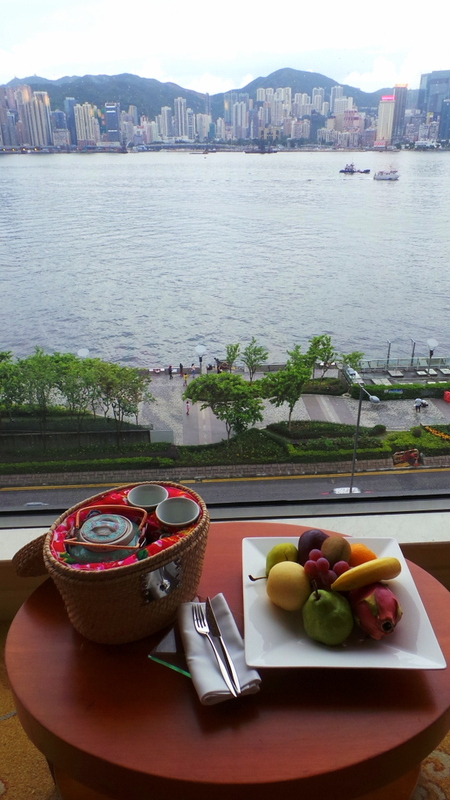 The traditional Chinese welcome tea in a basket was there, along with fruits. During turn down service, we were given a plate of muffins and pastries. 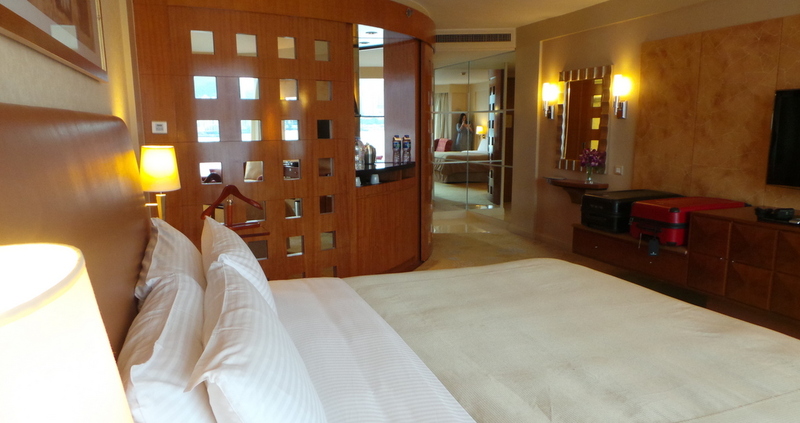 As I mentioned earlier, Kowloon Shangri-la had all elements of the classic definition of luxury, and among the archetypal features of it, it was the spaciousness of the room that I appreciated the most. If my ankle wasn’t busted, I definitely had enough room to do my workout videos! The bathroom had a smallish tub and a separate shower area. I liked the white marbled walls. 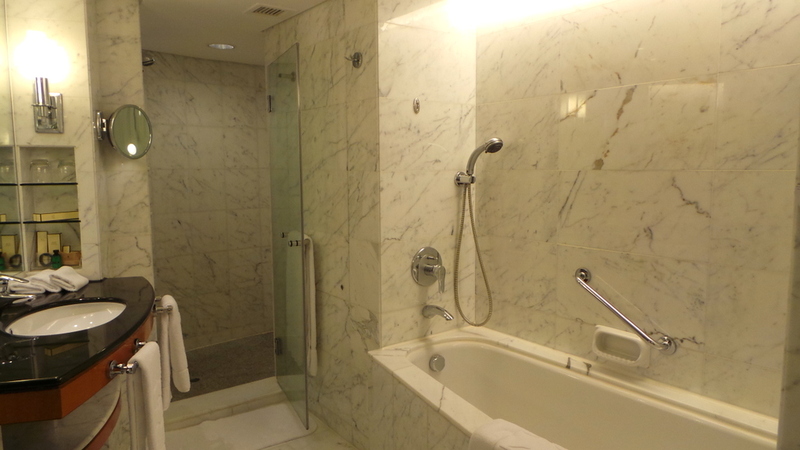 Amenities and toiletries are Shangri-la brand. And of course, there was definitely no shortage of grand views either. It had been raining on and off in Hong Kong but the view was still one worth waking up early in the morning for. No review of a Shangri-la brand is complete without mention of the food. Without a fail, food is a highlight on all Shangri-la properties, and more so at Kowloon Shangri-la. 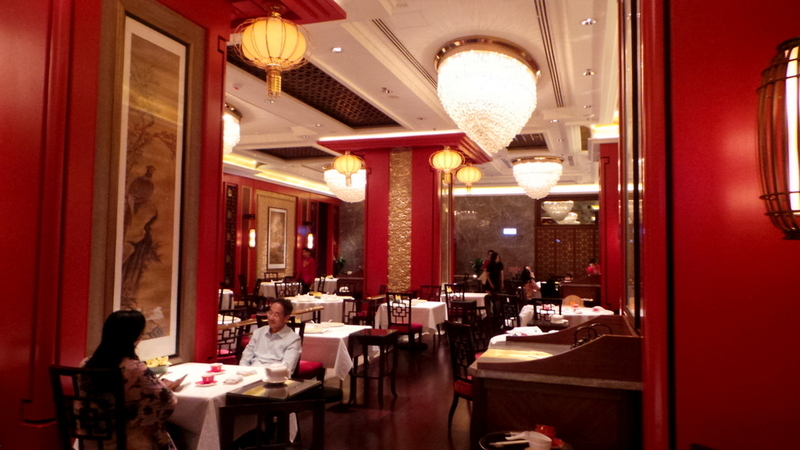 Kowloon Shangri-la is also home to the Michelin-starred Shang Palace, a Chinese specialty restaurant. The restaurant itself had lots of red, gold and mini chandeliers in every 2 metres or so. I have to admit my taste is not usually of this kind of opulent luxury , but when I sat down and had time to observe, I have to commend the design. You see, opulence becomes gaudy when too much elements are pushed in the picture. Granted, this style wasn’t minimal but it had all the RIGHT kind of grand elements, so yes it is decorative that’s done right. And more important than the design details of the restaurant was the food itself. I love Chinese food but it can be very heavy at times. This is one of those meals that left me very satisfied because the food wasn’t oily, heavy or cloying. Dumpling Entree at the Shang Palace. Notice the goldfish dumpling! 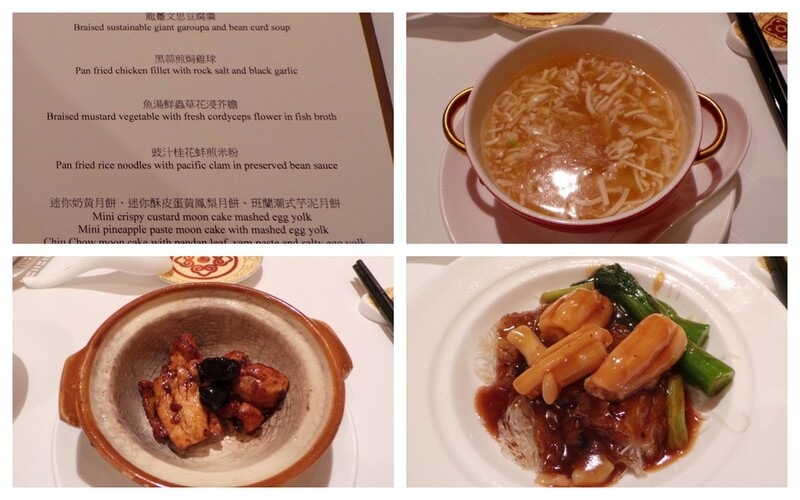 Award-winning Chef Mok Kit Keung prepared this set menu lunch for us that was just the right serving and proportion. I had black garlic for the first time (bottom left dish) and it was really good! It’s almost like a plum/jelly with a bite that was perfect accompaniment to the garlic chicken in the dish. But having a sweet tooth, my highlight of this lunch was the dessert. Just in time for the mid-Autumn festival, Chef Mok Kit Keung gave us a sample platter of his flavoured mooncake creations (before they were officially sold). From left to right: Pineapple, Pandan and Custard. They were all marvelous, but my favourite is Pineapple – because of the pineapple bits, the filling is chewy and dense in texture. Loved it! I’m not normally a fan of mooncake as they are too rich, but the pineapple variation , I’d have that for dessert every day! Lots and lots of tourists and families (old and young kids alike). 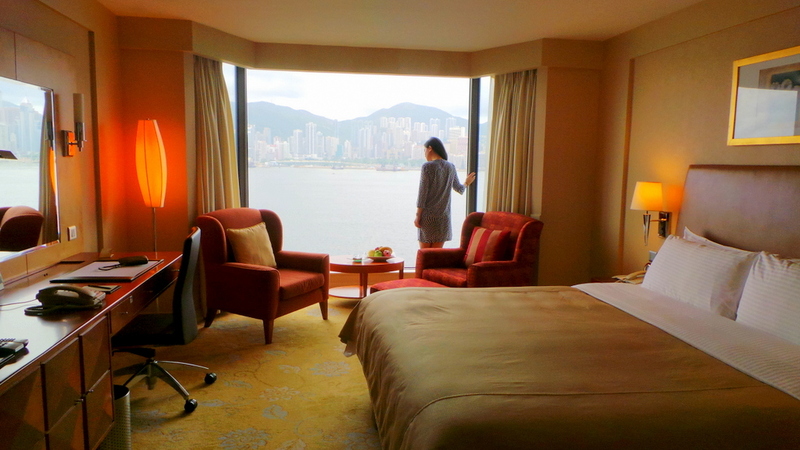 the view from our room that says it all…Kowloon Shangri-la. 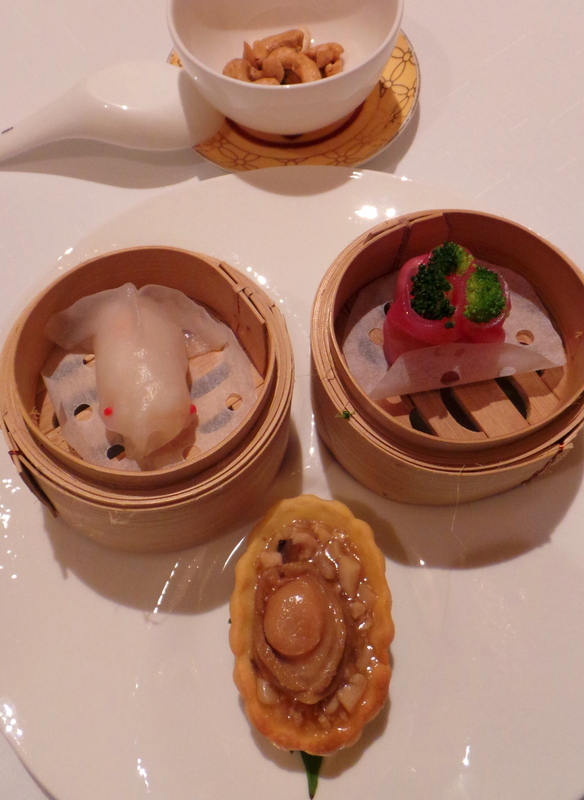 I would recommend Kowloon Shangri-la to a Hong Kong first timer. The opulent luxury theme may not be for everybody, but it has all the markings of a 5-star hotel for someone visiting Hong Kong for the first time – Wonderful service, Magnificent views of Hong Kong that can be seen in postcards and wallpapers, spacious rooms, and a great starting location of East Tsim Sha Tsui. 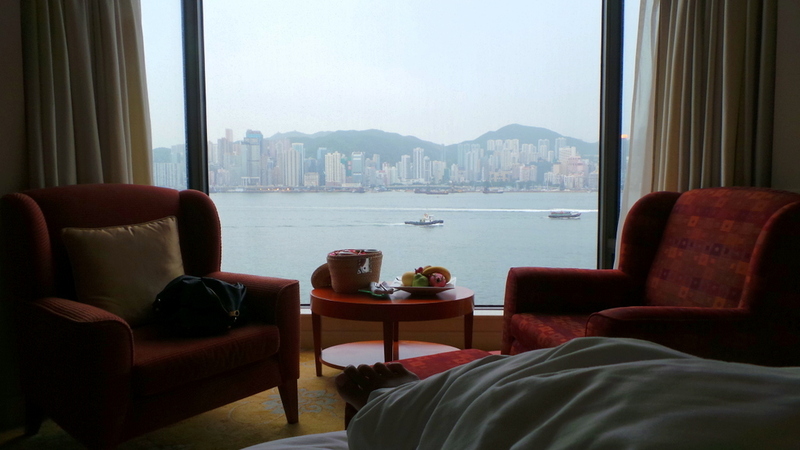 And even for the veteran Hong Kong traveller– the great views, good food and impressive service will always beckon. What is your type of luxury? Grand and ornate? or Quiet and Simple? We were guests of Kowloon Shangri-la however all views and opinions expressed are mine. Hello, well, I must say that I do love a bit of luxury, and am having a little luxury run on my blog at the moment. But you’ll often find me camping in the backyard too. I haven’t been in HK for about 18 years and would love to go back. Have never stayed in a 5-star hotel there and I would love to, mainly for that magnificent view you have shown so well in this post – marvellous. I’d also return just for the vegetarian Chinese restaurants which were great and a real feature last time I was there. Nice post and enjoyed the video. Hi Seana, yes I’m quite jealous of your Wolgan Valley getaway, so exciting! 18 years, you should give HK another visit! It’s a city that probably hasn’t changed so much in the last 15 years I’d say? (no drastic changes compared to other Asian cities) and it’s a good thing- it’s still the same bustling city as it was long long ago, it’s of course just more modern than ever.